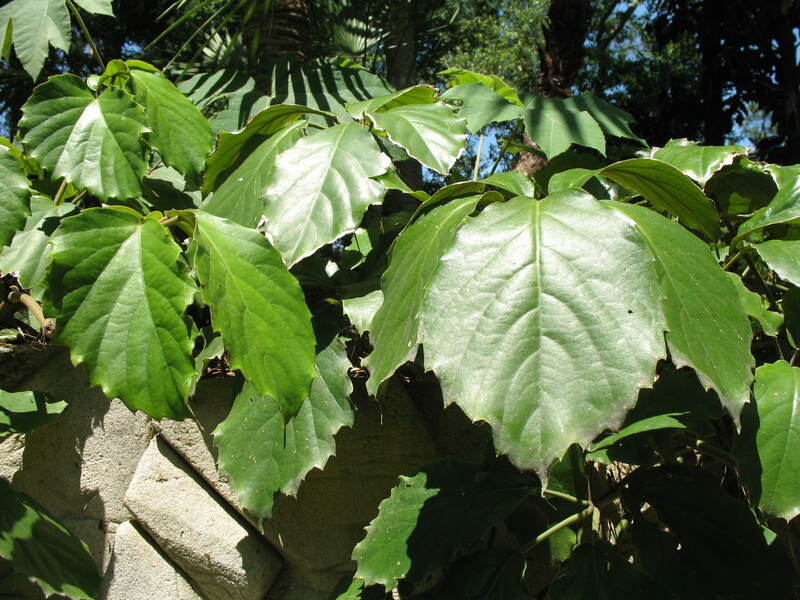 Comments: A rampart growing vine with large compound leaves that are up to one foot wide. It can grow up to 30 feet in height and will not stand dry or cold air. It is hardy to about 25 degrees F. Its root must be kept constantly moist.